Before Joe and I got married, one of my greatest stressors was what we were going to do career-wise. I was working (very happily I might add) in my current job in Des Moines and Joe was searching for a job back in Iowa (he was working in Illinois at the time). Knowing how much we both loved our jobs, I was worried about one of us having to sacrifice a career we loved. Thankfully, Joe’s company ended up giving him a work territory in eastern Iowa, meaning we could live halfway in between his territory and my work. And since that meant I would be over an hour from work, my company allowed me to work two days a week from home in order to save money and my sanity. Initially, it was a little difficult to adjust to working at home. So many distractions, poor internet connection at home, you get the picture. Thankfully, Joe and I discovered that a building right across the street from our apartment rents out office cubicles. I can promise you that once we decided to rent out a space, my work situation improved immensely. It’s so nice to be able to have a little work/life separation during the days I work from home, and I feel as if I get so much more accomplished. Of course on the days I work from home, I have two extra hours on my hands (!!) In the morning, I use my extra hour to get caught up on blog work, do laundry or clean up around the house. And in the evening, I usually spend my extra hour preparing meals that are a little above and beyond what I would normally make on a weeknight. 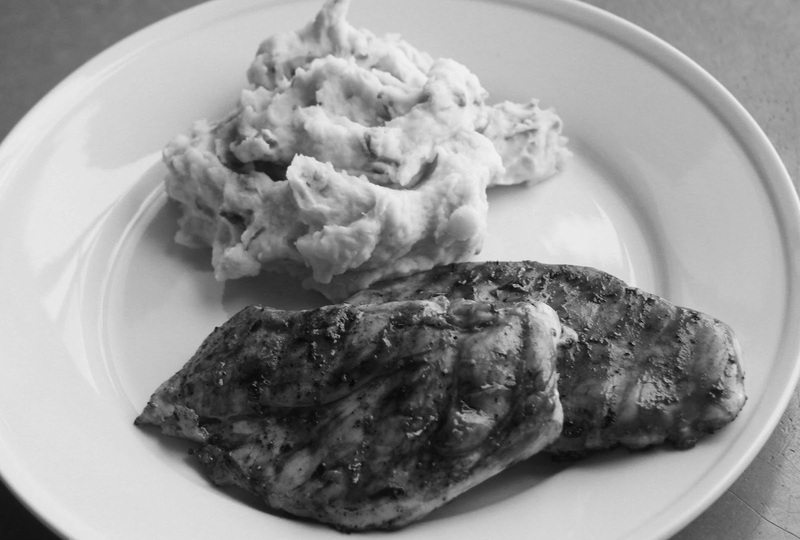 This week I put my efforts into making this Maple Glazed Grilled Chicken for Joe*, paired with homemade mashed potatoes, which I never make. The sauce that goes atop these chicken breasts is incredibly easy to make and packed with flavor. If you have even more time to spare, I imagine that this sauce would make a great marinade for the chicken a couple hours before putting it on the grill. But, if you’re anything like me, planning that far in advance is not going to happen. In that case, using it as a barbecue sauce (as in the recipe below) works out nicely, too. *For those of you wondering, I made myself roasted kale and roasted sweet potato fries with cumin and ground mustard. *Preheat grill to medium high. *Meanwhile, season chicken breasts with salt and pepper. Set aside. *In a medium nonstick skillet over medium high heat, combine the maple syrup, chicken broth, garlic, oregano, Dijon mustard and balsamic vinegar. Bring to a simmer, stirring frequently with a silicone pastry brush or rubber spatula. Add in the worcheshire sauce and ketchup and continue to cook for 3 to 4 minutes, stirring frequently, until the liquid is reduced slightly and the mixture has thickened to resemble thin barbecue sauce. Remove from heat. *Brush chicken breasts with some of the sauce. Lightly grease the rack of your grill with nonstick cooking spray. *Place chicken breasts on grill and brush with some more of the sauce. Grill for 3 to 4 minutes. Flip chicken. Brush with some more of the sauce. Cook for 3 to 4 minutes more or until chicken is cooked through and no pink remains. Remove from grill. Serve with mashed potatoes. this sounds so tasty and perfect since the boyfriend and i will be busting out that grill as soon as possible! i love grill time because it puts the boy in charge of the meat cooking (for once) and i can concentrate on the yummy sides (my favorite part)! I made something so similar to this the other night and we LOVED it! This sounds delicious!! We officially broke out our grill last night, so I’m adding this to our menu very soon. Yum. do you and your husband ever cook dinner together? or does he ever make dinner for you? I totally know what you mean about working from home! 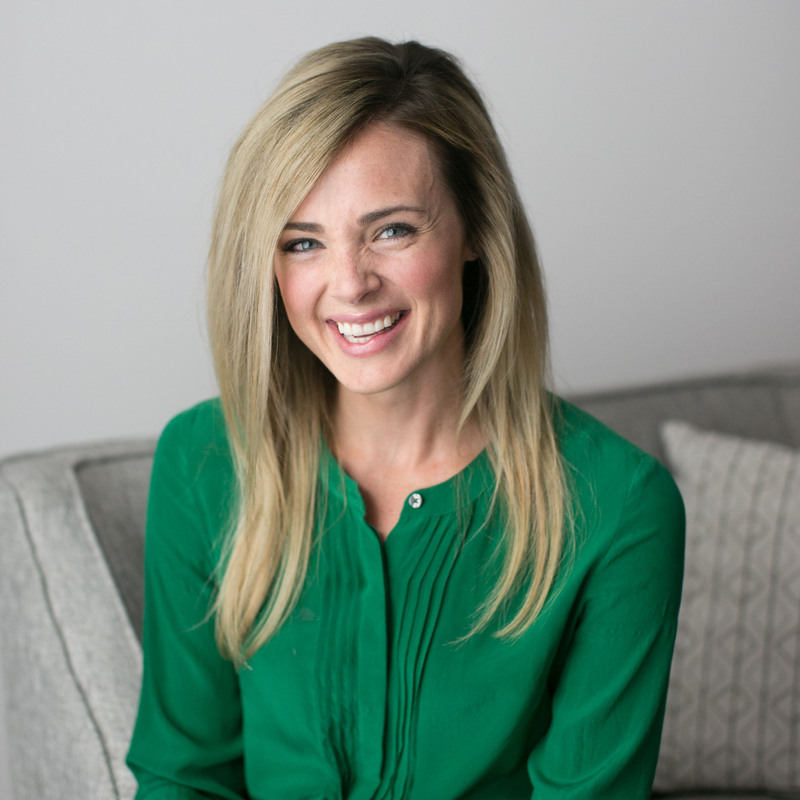 I recently launched my own business and at first loved all the time at home- having my kitchen and everything I need nearby. But then I really started to go stir crazy! Not to mention my boyfriend was also working from home which, no matter how much you love each other, can get tough. Just this week I start using office space in my neighborhood and I’m not only much happier, but so much more productive! At first it seemed hard to justify the expense, but now I can’t imagine not doing it. Glad to know I’m not alone! I work from home one or two days a week since my commute is 1.5 hours one way via public transit. It’s definitely a sanity-saver and, generally, I actually get MORE work done. The setup at the office is open concept and noisy, so the quiet is definitely welcome. But, every so often, when work itself is slow, I find I take advantage of the freedom of working from home a little too much. Why, yes, I think I will go for an hour long run in the middle of the day? Make bread? Sure, I have time! Love the recipe! 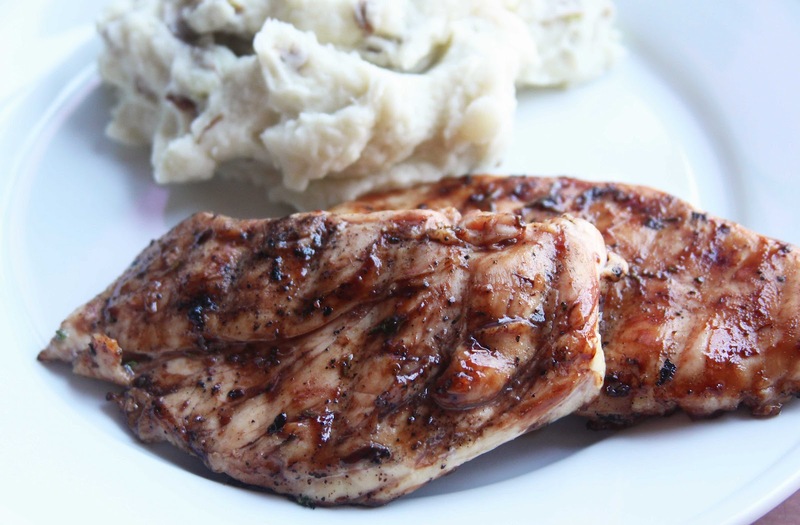 I’m definitely going to pull of chicken breast out of the freezer tonight!